If you’ve ever played the Left 4 Dead series, then it’s likely that you quickly learned you shouldn’t shine the flashlight on the witch. With a newly added mod to Steam Workshop, you may find it a bit difficult to not shine your flashlight on, well, everything. Gone are the days where you hunt around in the darkness while being afraid for your life. 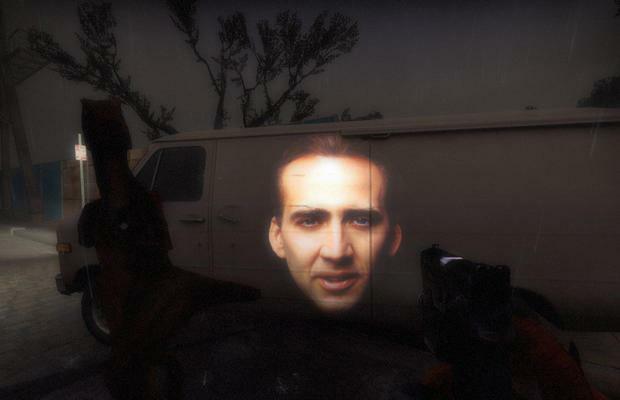 Nicolas Cage can now accompany you on your journey to make it through each level in Left 4 Dead 2. That’s what you’ve always wanted, right? What do you think about the Nicolas Cage mod? What’s the best mod you’ve seen in Left 4 Dead 2? Be sure to let us know what you think by leaving us a comment below, or continue the discussion on Facebook and Twitter.